Power electronics cover a lot of territory, from nanowatts to kilowatts. But designs at all power levels share a common goal, namely to improve efficiency. In this article, Tektronix engineers share their views on emerging trends in power design. Mobile devices are top-of-mind when it comes to battery-operated efficiency. We expect at least 8 hours of talk time on a phone, and we expect it in a compact, capable package. The November 2017 Ericsson Mobility Report indicates that there are currently over 5 billion mobile broadband subscriptions. While smartphones will no doubt continue to drive power management and battery technologies, a new class of connected devices is testing the limits of power management. It’s predicted that by 2020, there will be 24 billion IoT devices connected through wireless technology. Many of these devices will not have access to the power grid, and all of them will need to be constantly on, at least to some extent. It’s this continuous, always-on aspect of the IoT that demands new solutions to power management and measurement. “If you’re designing an IoT device that is being hung up on an oil rig, there’s no line power and it’s probably going to be battery operated,” says Tektronix engineer Jay Shah. “Power consumption considerations for all those IoT devices are very critical. 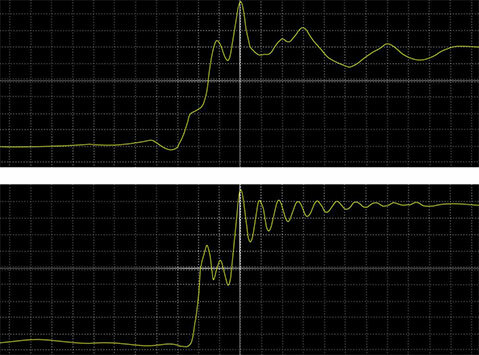 Deep sleep, consumptions drops to nanoamp and picoamp range. 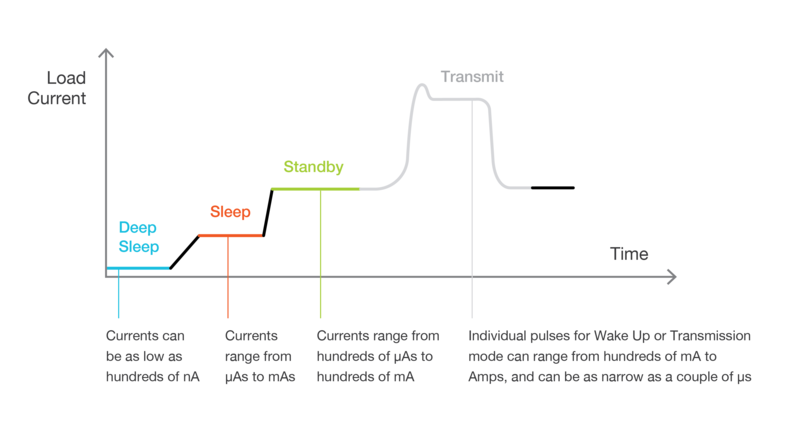 In deep sleep mode, many IoT devices consume current in the nanoamp to picoamp range, but when they measure and transmit, they can draw fractions of an amp. “ Obviously, determining the power consumption of these devices is absolutely critical, but the huge operating range of IoT sensors makes characterizing the power profile very challenging,” Shah explains. In response to climate change, many governments are developing new, stricter efficiency standards. Unfortunately, the frenetic pace at which these standards are being released, and the number of parties involved, are enough to make even the most experienced designers a little bit dizzy. Take, for example, the efficiency standards for external power supplies (EPS), also known affectionately as “wall warts” or “bricks”. In 2016, the US Department of Energy (DOE) came out with new efficiency standards. Now Europe is going further, with stringent Ecodesign rules. So, designers are going for higher efficiencies, requiring more testing, especially for power supplies. And the standards race is not just limited to external power supplies. New or revised standards are constantly being released for appliances, industrial equipment, and HVAC equipment as well. The standards are coming from many different agencies, each with their own jurisdiction. In addition to US and EU agencies, the China CQC has been active in developing standards. The California Energy Commission takes a proactive stance on energy standards that may exceed those of the US DOE. Each of these standards are living documents, so designers must stay up to date. Another trend shaping the requirements of power electronics is occurring in the automotive market. Many in the automotive industry predict that electric vehicles will ultimately replace internal combustion powered cars. DC-AC converters and battery management systems are critical to the traction systems in these vehicles, but there are a couple of not-so-obvious trends here as well. The pervasion of electronics throughout modern cars compels designers to closely manage power consumption. The “always on” conundrum of the IoT also exists in automotive modules. Even when a car is turned off, many systems continue to operate in sleep mode. (In fact, many would argue that a car is among the most complex “Internet things” there is!) Even in internal combustion automobiles, designers are pressured to provide new levels of safety and comfort without draining the battery. On the road to fully-electric vehicles, we will likely encounter various forms of hybrids. These vehicles will incorporate complex power conversion and management systems. In contrast to the soon-to-be-legacy 12-volt system, tomorrow’s HEVs and EVs will incorporate multiple power buses. Some may require bi-directional DC-DC conversion as power flows from starter/generators, regenerative brakes, batteries, or even solar cells. Power electronics will evolve in the next five years at a fundamental level, as wide bandgap semiconductor technologies come into broader use. New semiconductor materials such as silicon carbide (SiC) and gallium nitride (GaN), offer better thermal conductivity, higher switching speeds, and physically smaller devices than silicon. The semiconductor industry is working to develop and promote these new wide bandgap power devices. Semiconductor R&D engineers are working to validate and characterize new components.Driver manufacturers are developing new gate drivers to withstand the demands of faster switching, EMI management, and more sophisticated topologies. Manufacturing engineers in these companies are dealing with wafer testing challenges – having to thoroughly test smaller devices over wider voltage and current ranges than ever before. At the other end of the value chain, power supply designers are working to take full advantage of the advantages of GaN and SiC devices. (power-conversion-designs) Rules of thumb that applied to silicon MOSFETs are having to be rethought. Designers are working to minimize dead times in half-bridge switches to minimize switching loss. Being able to accurately view and evaluate dynamic voltage and current throughout the design is critical, but difficult due to the common mode voltages and fast rise times involved. New probing techniques reveal details of what is occurring in the design that were previously hidden. The world is becoming more connected. As our technology changes to adapt to this fact, so too must our engineering tools and techniques. Without the ability to measure critical values and ensure the functionality of important devices, our progress can only go so far.